Designed by Andrea Lucatello. 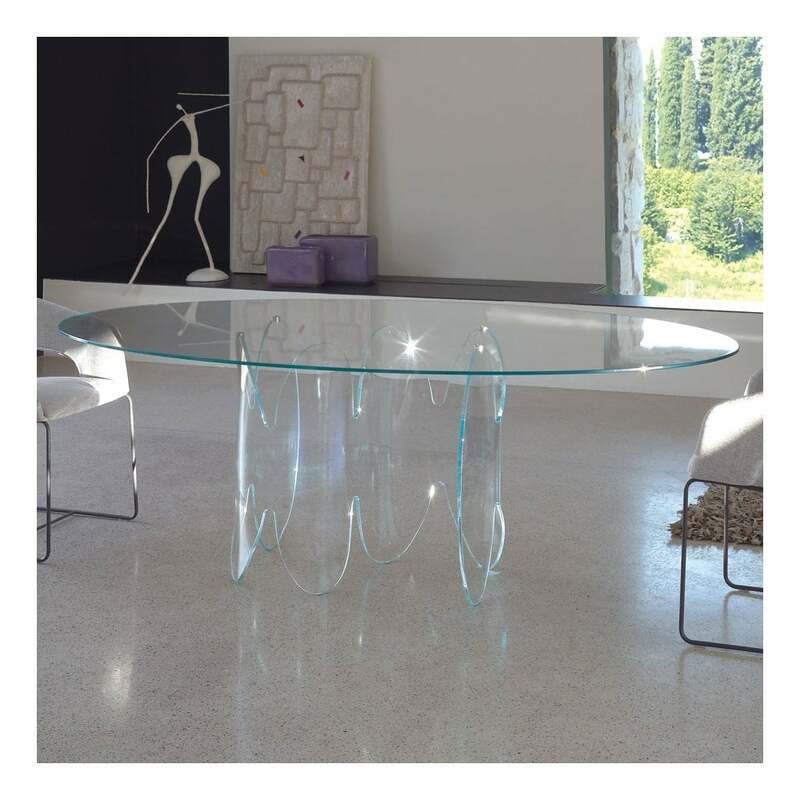 Fixed elliptical table, base in curved glass. Base and top in EXTRALIGHT clear glass - other options available.